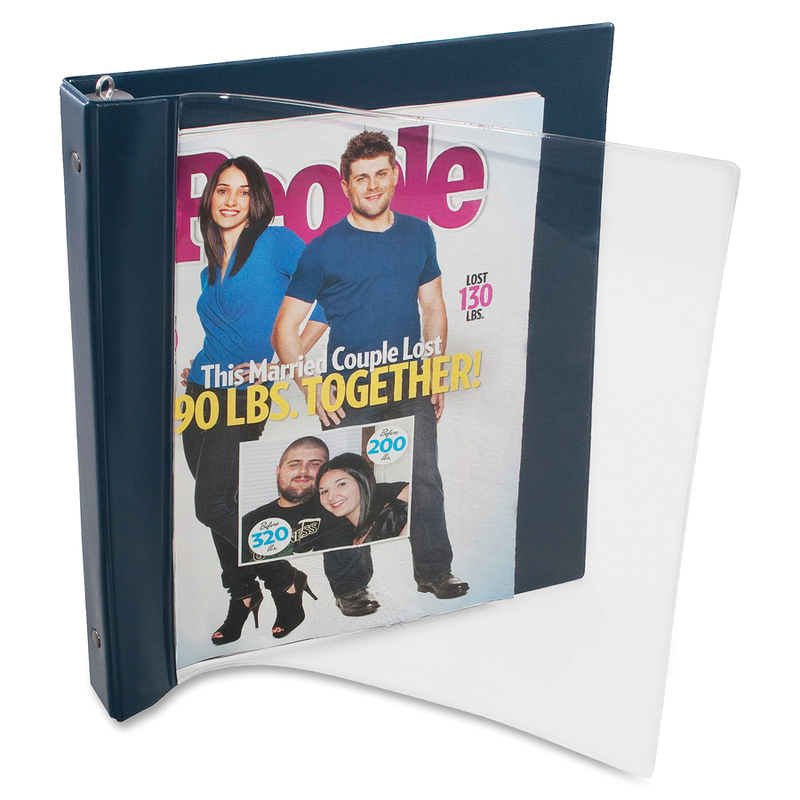 Magazine/catalog binder accommodates magazines and catalogs up to 11-1/4" high and preserves them in busy office waiting rooms. Heavy, clear poly front cover permits magazine to be seen and identified. Unique, spring-action holder rod allows easy change of contents. Locking mechanism is mounted on the back cover. 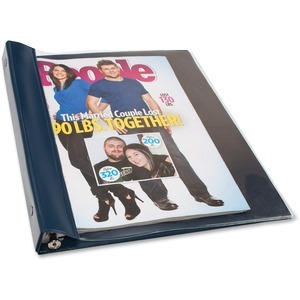 Magazine/catalog binder also features navy blue spine and back cover, exposed rivets and sturdy chipboard core.